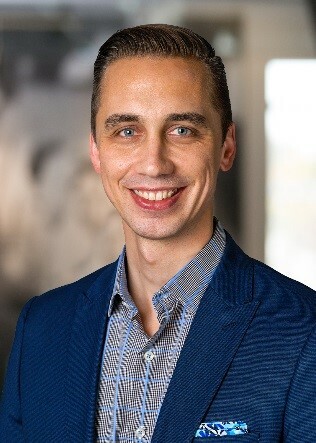 Dr. Daniel Vreeman is an Associate Research Professor and the Regenstrief-McDonald Scholar in Data Standards at the Indiana University School of Medicine. He is also a Research Scientist and the Director, LOINC and Health Data Standards at the Regenstrief Center for Biomedical Informatics. Dr. Vreeman’s primary research focus is on the role of standardized clinical vocabularies and standards to support electronic health information exchange. He leads the development of LOINC, a freely available international standard for identifying health measurements, observations, and documents. Today, LOINC has more than 58,000 registered users from 170 countries and it has been translated into 18 variants of 12 languages. More than 30 countries have adopted LOINC as a national standard. Dr. Vreeman also provides leadership to the terminology services that underpin the Indiana Network for Patient Care, the nation’s largest inter-organizational clinical data repository with more than 10 billion clinical data elements. He is the author of the book LOINC Essentials: A step-by-step guide for getting your local codes mapped to LOINC. Dr. Vreeman also teaches medical informatics at Indiana University. Dr. Vreeman's innovative work in informatics has been recognized with many honors. In 2017, Dr. Vreeman was elected as a fellow to the American College of Medical Informatics, which is the honorary college of elected informatics fellows from around the world who have made significant and sustained contributions to the field of medical informatics and who have met rigorous scholarly scrutiny by their peers. In 2017 he was also awarded the Distinguished Alumni Award from Duke University Physical Therapy Alumni Association. The Indianapolis Business Journal selected him for the 2015 Forty Under 40 list. He was the senior author on a paper about the urgent need for competencies in biomedical informatics within physical therapy education that was published in the Journal of Physical Therapy Education. This paper earned the 2010 Stanford Award from the Education Section of the American Physical Therapy Association (APTA), given to the paper with the most influential ideas for physical therapist education. Dr. Vreeman has been a long-time member of the American Physical Therapy Association, and active in the Section on Health Policy and Administration since 2000. From 2007 to 2013 he served as the President of the Technology Special Interest Group of the APTA HPA section. He is also a member of the American Medical Informatics Association, the American College of Medical Informatics, and Health Level Seven International.